Cookie-based targeting is the most versatile targeting options in Survicate, as you can generate cookies both in Survicate (if you want to know how to add cookies, please go here), in other software, or by yourself using your own script which means that the pool of possibilities is endless. You may decide to assign cookies to users upon a specific event like visiting your site or a particular version of your site (especially useful for A/B testing). If you want to set up cookie-based targeting, you need to create a new segment of visitors. 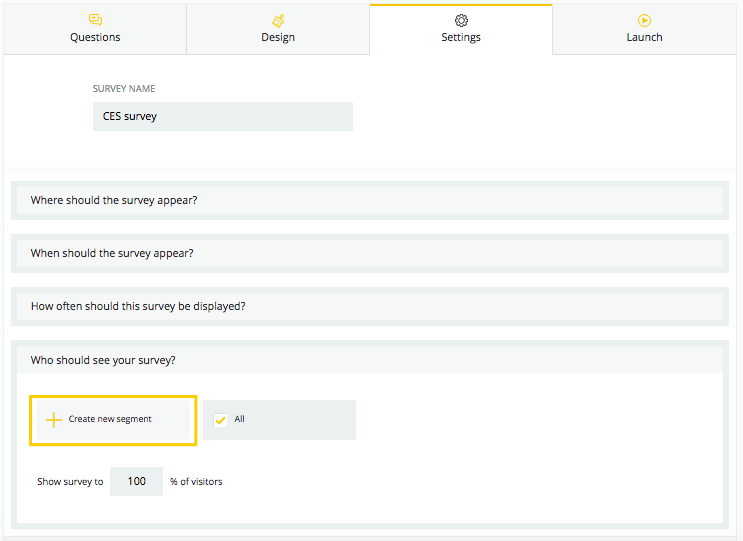 Go to the Settings section of your survey, open Who should see the survey? and click on Create new segment button. 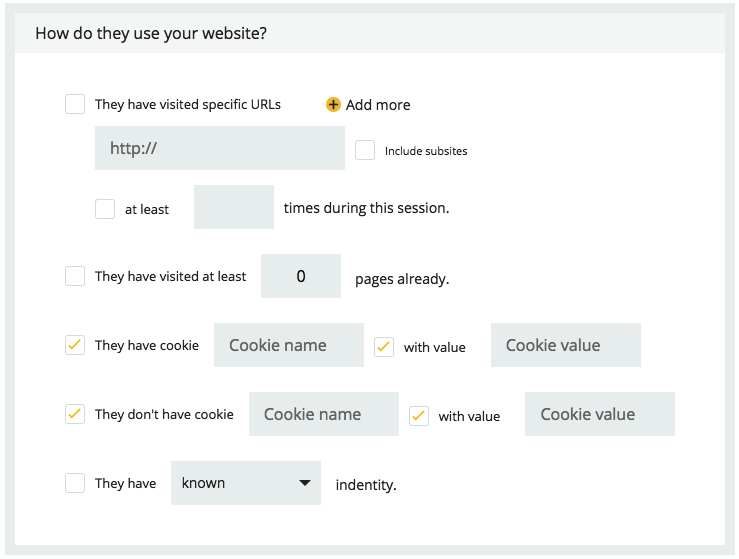 You can target visitors that either have or not a specific cookie, or by their cookie values.